JF-12 Shock Tunnel, duplicating true hypersonic flight conditions, is the largest and most advanced shock tunnel in the world, and was invented by Institute of Mechanics in Chinese of Academy of Sciences independently. 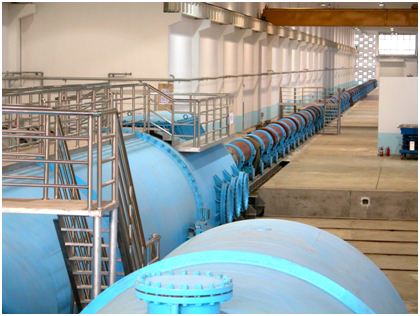 The tunnel was supported National Project for the Development and Manufacturing of Key Scientific Research Equipments, and took more than 4 years since approval in January, 2008. During such a process, the detonation driving principle, long testing time technology, and high accuracy measurement technology have been advanced as the pioneer of the world. 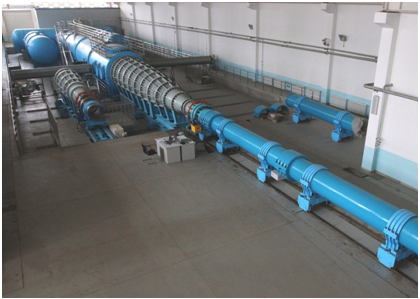 JF-12 Shock Tunnel is usually used for researches and experiments in aeronautics and astronautics, such as aerodynamic force/ heat characteristic of vehicles, separation kinetics of key components, integration of vehicles and engines. The tunnel can duplicate the flight conditions at the ranges such as Mach 5-9 (1.5-3.0 km/s) while altitude of 25-50 km, with the diameter of nozzle equals 2.5 m and diameter of test section as large as 3.5 m. The test time is more than 130 ms, which the longest in all shock tunnels. The research group of JF-12 Shock Tunnel has won 2016 State Technological Invention Prize (2nd class), 2016 Outstanding Science and Technology Achievement Prize of the Chinese Academy of Sciences, 2014 Science and Technology Prize of Chinese Mechanics (1st class). Prof. Jiang Z, the group leader, won the 2016 Ground Testing Award of American Institute of Aeronautics and Astronautics (AIAA), "for skillful leader leadership in conceiving, developing and successful commissioning of the world's largest shock tunnel capable of true hypersonic flight simulation ", and became the first award winner in Asia in the last four decades.